Coastal Woods is a new neighborhood being built at the northeast section of I-95 and State Road 44 interchange. There will also be a new, major commercial shopping venue near Coastal Woods. 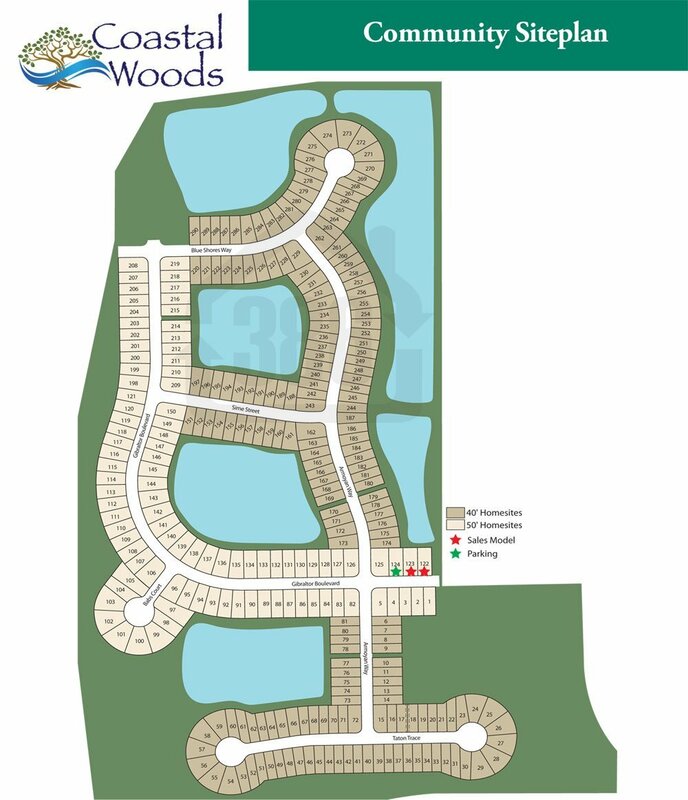 Call us at (386) 527-8577 or fill out the form below for more details on Coastal Woods. Lots here will be 40' x 125' through 70' x 125' and will house homes starting around 1,600 sq. ft. There will be a community clubhouse and amenities such as a swimming pool, tennis/pickleball courts, nature trails and more.